“Some refer to the strategy as a “double game”… Will the consequences of this “double game” imperil Canadians? It is impossible to foresee the future, but these terrorists are “intelligence assets”, and the government will no doubt provide them with adequate remuneration for “services rendered”, he added, raising the question: “ Why would the terrorists bite the hand that feeds them? 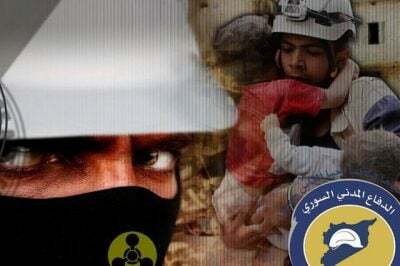 The “White Helmets” fit the storyline — eerily evocative of the colonial supremacist euphemism “White Man’s Burden” — perfectly. They are presented as the “good guys” in white rescuing humanity from the mythical “brutal dictator”, Taliano asserted. This article was originally published on Syria Times.